Travel to Britain and indulge in a decadent British tea! 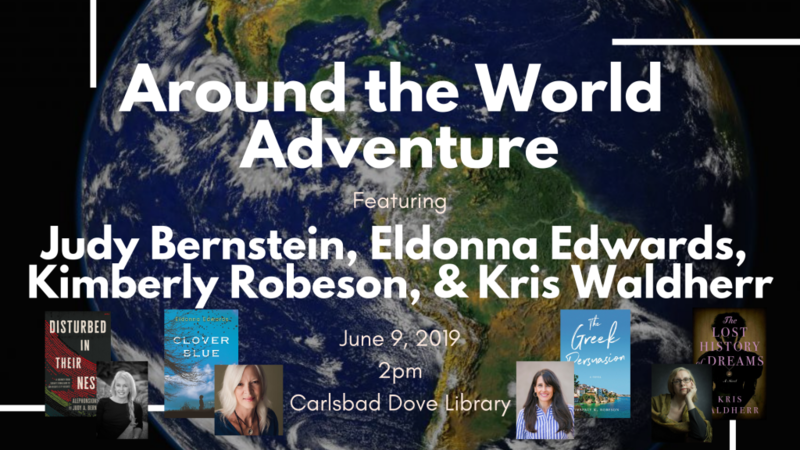 Adventures by the Book is pleased to partner with the Osher Lifelong Learning Institute at San Diego State University for a Culture & Cuisine of Britain High Tea Edventure with critically acclaimed author Elizabeth St. John, as she discusses her novel, By Love Divided. 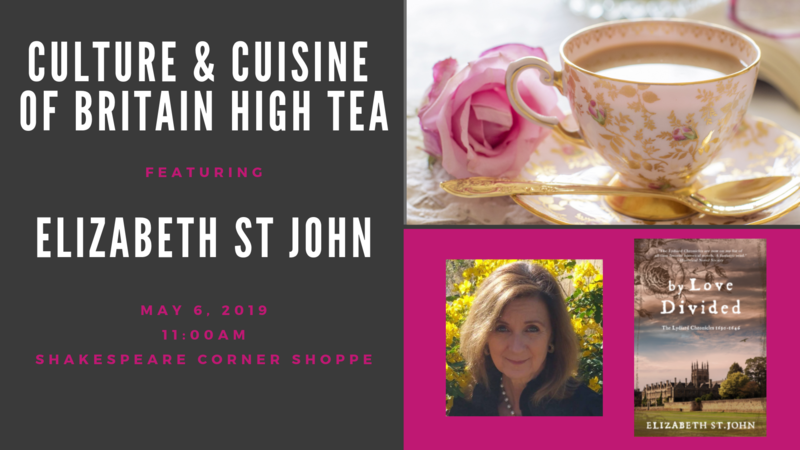 Join us for a wonderful morning over tea at Shakespeare’s Corner Shoppe, while we discuss the culture and cuisine of Britain and the country which gave Elizabeth the inspiration and backdrop for her novel. 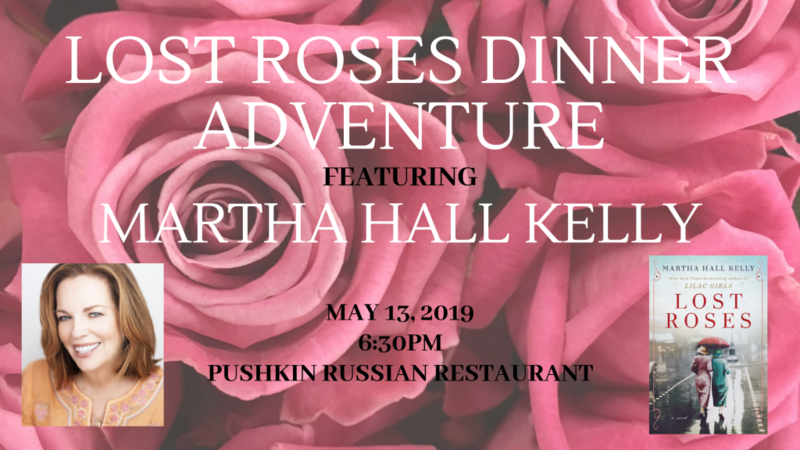 This Edventure includes a classic British high tea, bottomless tea, tax, gratuity, book discussion, Q&A, book signing, and the opportunity to meet the author up close and personal in an intimate and authentic setting. Elizabeth St. Johnwas brought up in England and her research has taken her to family memoirs and letters at Nottingham Castle, the British Library, the Tower of London, Yale University and, of course, the family seat of Lydiard Park. From these fragments the St.Johns emerge, leaving a portrait, a sentence, a deed that seats them with us, telling of their hopes and dreams. 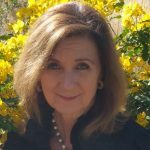 As she researched, her voice became a conduit for their stories, recounting a passion for the England of her childhood where they once walked, where their portraits still hang, where they lived, loved and found redemption. More than thirty years ago, Elizabeth came across a copy of Memoirs of the Life of Colonel Hutchinson by Lucy Hutchinson, his wife. Contained within is A Fragment, the Life of Lucy Hutchinson, written by herself. The story of her mother, Lucy St.John, served as inspiration for the The Lady of the Tower and By Love . Many details of Lucy’s life are unknown, but enough are recorded to server as signposts to her journey. The rest is historical fiction. Orphaned Lucy St.John, described as “the most beautiful of all,” defies English society by carving her own path through the decadent Stuart court. 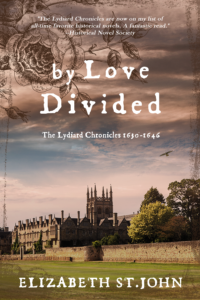 In 1609, the early days of the rule of James I are a time of glittering pageantry and cutthroat ambition, when the most dangerous thing one can do is fall in love . . . or make an enemy of Frances Howard, the reigning court beauty. Lucy catches the eye of the Earl of Suffolk, but her envious sister Barbara is determined to ruin her happiness. Exiling herself from the court, Lucy has to find her own path through life, becoming mistress of the Tower of London. Riding the coattails of the king’s favorite, the Duke of Buckingham, the fortunes of the St.Johns rise to dizzying heights. But with great wealth comes betrayal, leaving Lucy to fight for her survival—and her honor—in a world of deceit and debauchery. 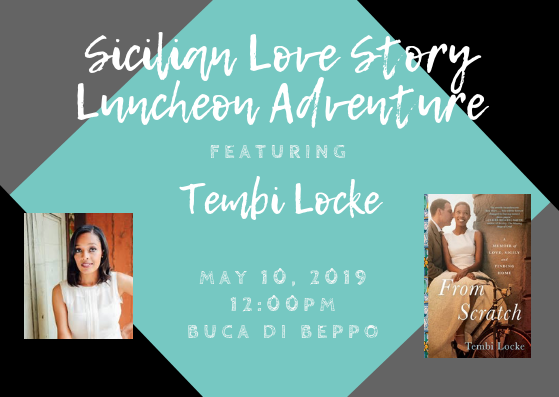 Elizabeth St.John tells this dramatic story of love, betrayal, family bonds and loyalty through the eyes of her ancestor Lucy and her family’s surviving diaries, letters and court papers. 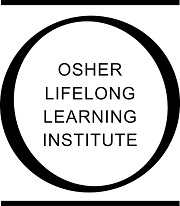 Due to the special nature of this Edventure, Osher membership is required and may be obtained at a minimal cost at time of registration; limited spaces are available for this unique experience, so early registration is recommended.